How do muscles grow? Exercise, of course. Are you reaping all the rewards you can from your exercise, though? True, exercise (especially resistance exercise) has a great influence on muscle growth. The timing and quality of the protein you feed your body can make muscle growth more effective. Exercise tears muscle fibers. As they rebuild, a high quality protein (with a high quality amino acid profile) can help increase size and strength. Whey protein is effective in repairing and rebuilding the injured muscle. It quickly delivers amino acids to muscle tissue after an intense bout of exercise. The critical period of time when whey protein needs to be readily available is hours after an exercise session (known as the recovery period). One recent study in the Journal of Physiology found that whey protein is important not only immediately after a workout, but also every 3 hours during the muscle recovery period.This study shows that distributing your whey protein intake can help maintain peak muscle mass. We always praise exercise and for good reason. It burns calories, melts away fat, builds muscle, and the list goes on. However, for all these things to happen, our body needs to supply the energy we need to exercise. It is during those bouts of energetic exercise that our body produces oxidants. Surprising, right? Even something as healthy as exercise can produce those radical, unstable little oxidants we all try so hard to reduce. Thankfully, our body has an exquisite antioxidant defense mechanism to quickly rid of those damaging oxidants after a bout of exercise. Intense exercise, though, can deplete our levels of one of the most important antioxidants we’ve got: glutathione. Where does whey come in? It turns out whey protein has antioxidant and anti-fatigue properties. The journal Alternative Medicine Review touts whey for its numerous properties, including its ability to convert the amino acid cysteine to the potent glutathione. One study found that, compared to subjects who didn’t supply their resistance exercise with whey protein isolate, subjects who did showed higher levels of glutathione. A study published in the Journal of Dairy Science found that whey protein can act as an alternative source of antioxidants for prevention of athletic injuries caused by oxidants. When our cells are armed with a good supply of antioxidants, especially the important glutathione, science shows our risk of cellular injury from oxidants drops. Phew! As a plus, it can improve performance and delay muscle fatigue. Many studies on whey protein isolate involve healthy subjects. What about those who are obese and overweight? A study published in the British Journal of Nutrition demonstrated that whey protein supplementation improved insulin levels and decreased levels of triglycerides in the blood. Whey protein also has been proven to decrease blood pressure and improve cardiovascular health, especially by increasing levels of the good ol’ HDL cholesterol. 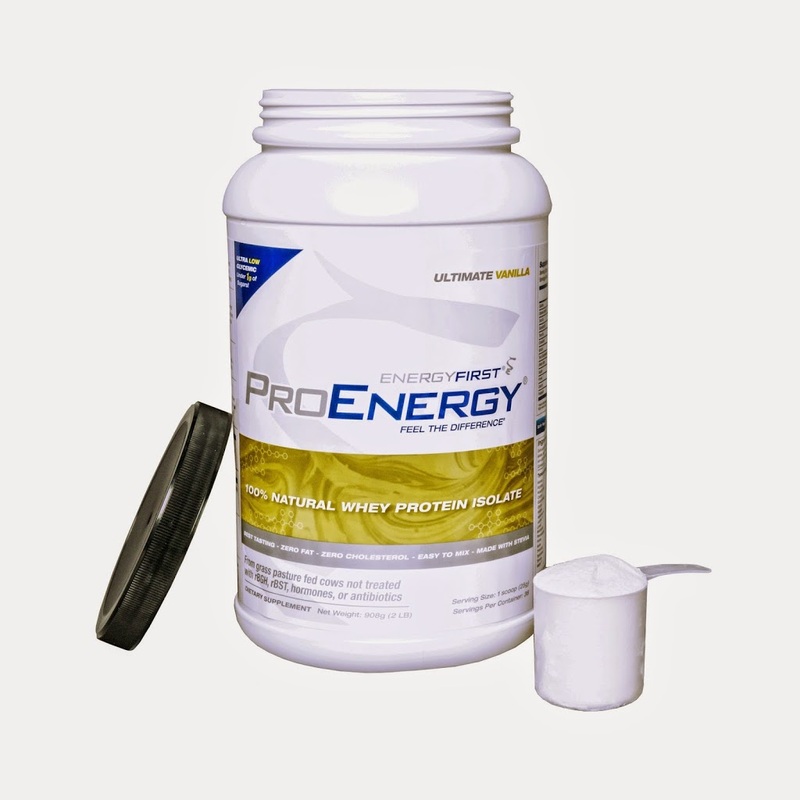 ProEnergy: How does it Whey In? Why is ProEnergy ideal for a post-workout meal (or for breakfast, a snack, or anytime of day for that matter)? Let’s start with taste. Many powders may boast of their great taste. In reality, most of these products get their “taste” from artificial sweeteners. ProEnergy vanilla, strawberry, and chocolate powders have zero taste coming from artificial sweeteners. They are made with a natural sweetener, stevia leaf extract. Easy and effective? Yes, it’s easy on you and your muscles. Just mix the powder with liquid and you’re all set. The whey protein isolate content is pharmaceutical-grade. It has even been used by physicians to improve immunity and muscle mass for patients with cancer. Where does the protein come from? That is a crucial question. ProEnergy whey protein isolate gets its protein from grass pasture fed cows that have not been treated with any hormones or antibiotics. It doesn’t get better than “no pesticides”. The nutrient content and amino acid profile of whey from grass-fed cows are far superior to that of grain-fed cows. 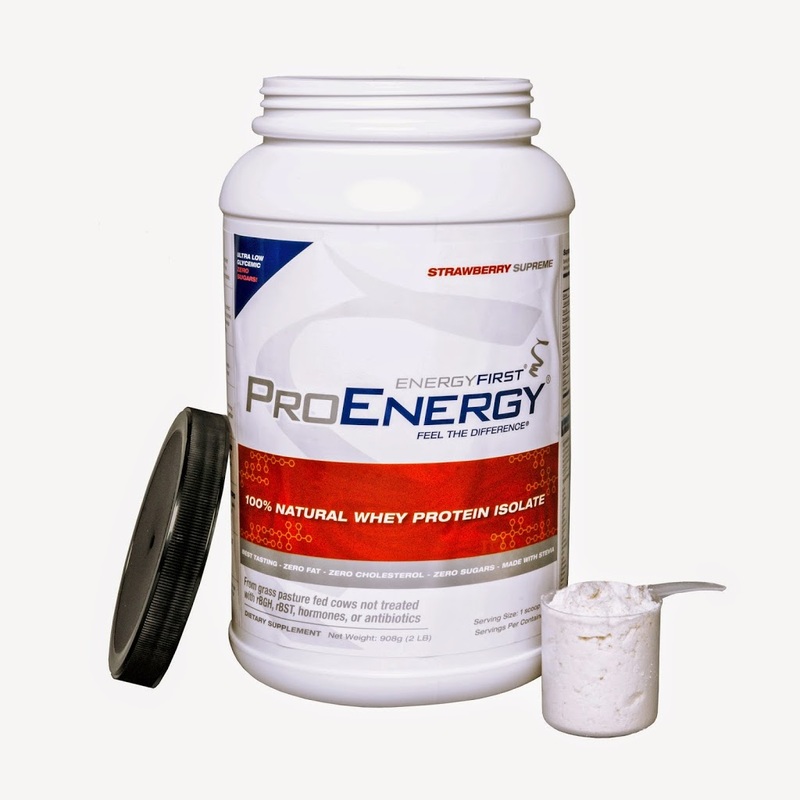 As opposed to many heat-processed whey products that are acidic and low in nutrients, ProEnergy whey is cold processed, thus retaining its delicate nutrient profile. J Physiol. Jun 15, 2013; 591(Pt 12): 2969–2970. J Physiol. May 1, 2013; 591(Pt 9): 2319–2331. J Dairy Sci. 2011 Aug;94(8):3739-46.
is your whey protein product gluten free? 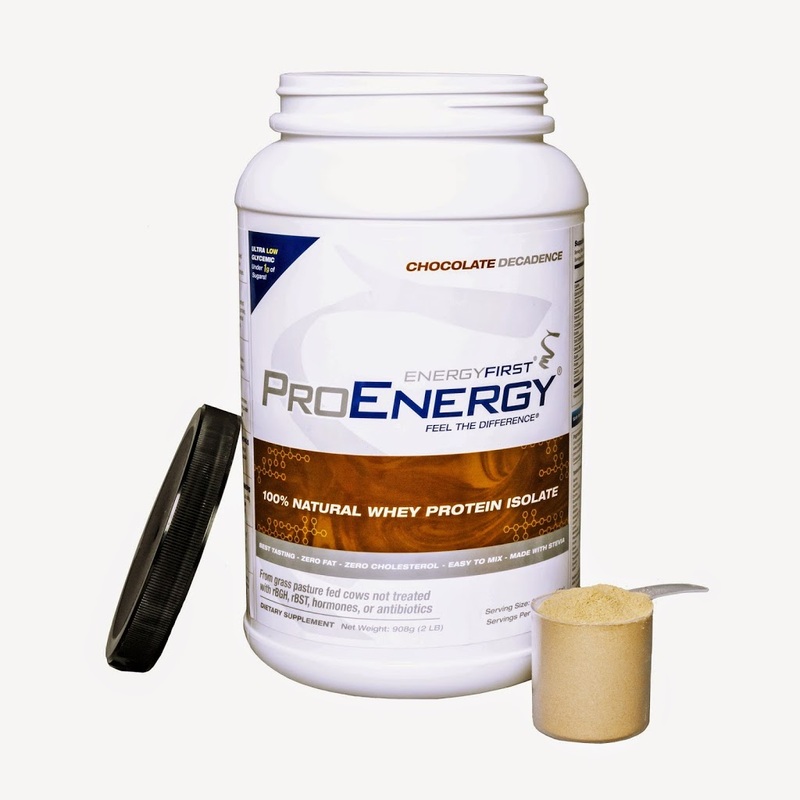 Yes Jan. Our whey protein product PROENERGY is gluten free. I am sharing the product link here and you can refer the ingredients http://www.energyfirst.com/whey-protein-powder. Should you have any queries or need assistance, please don’t hesitate to ask. We are here to help you.